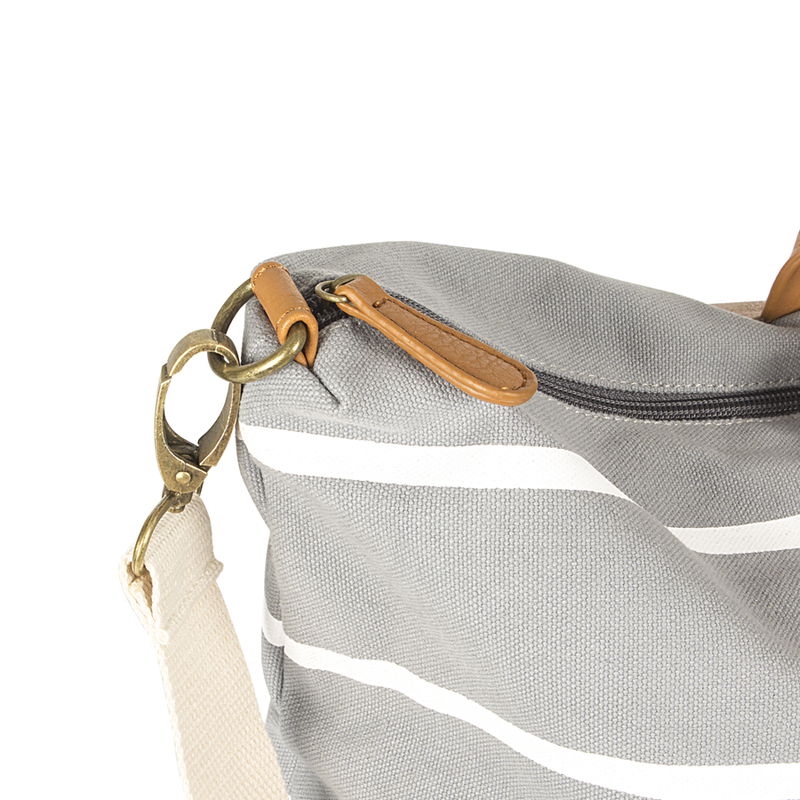 The classic lines on this grey and white striped canvas weekender are perfect for dressing up or dressing down any outfit. 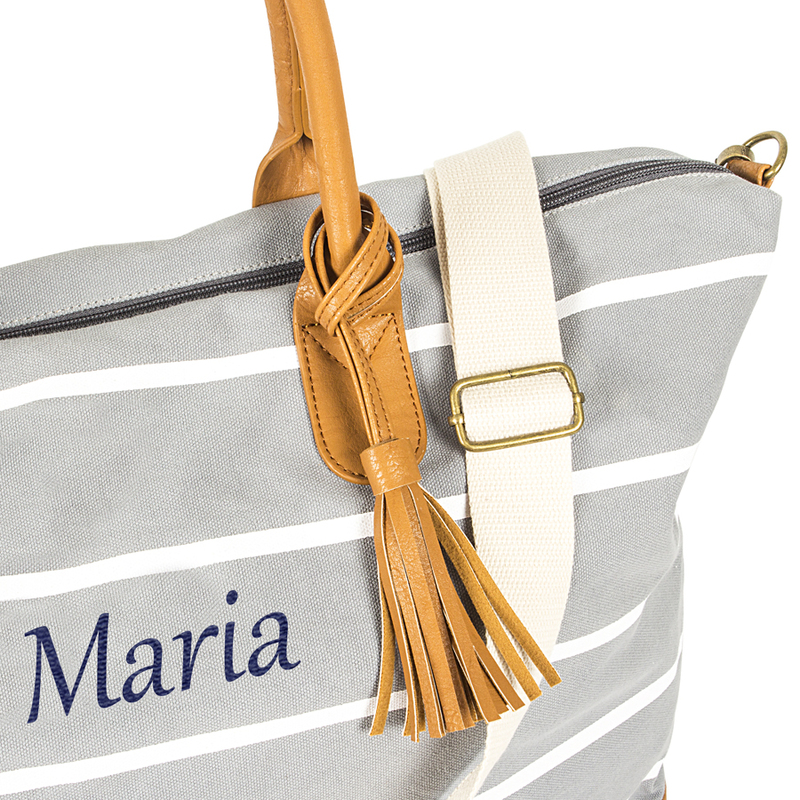 Featuring light grey and white striped canvas and brown faux leather trim accented by a brown leather tassel and white canvas carrying strap. 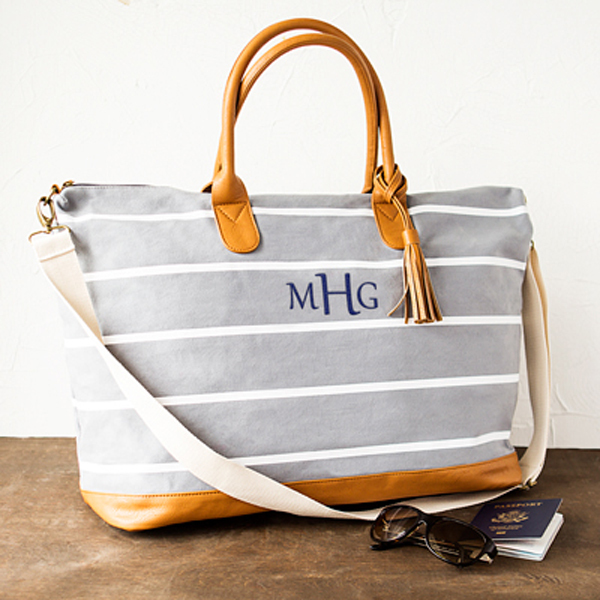 Over-sized to accommodate all your weekend must-haves and personalized with a name, monogram, or single initial in your choice of thread color. 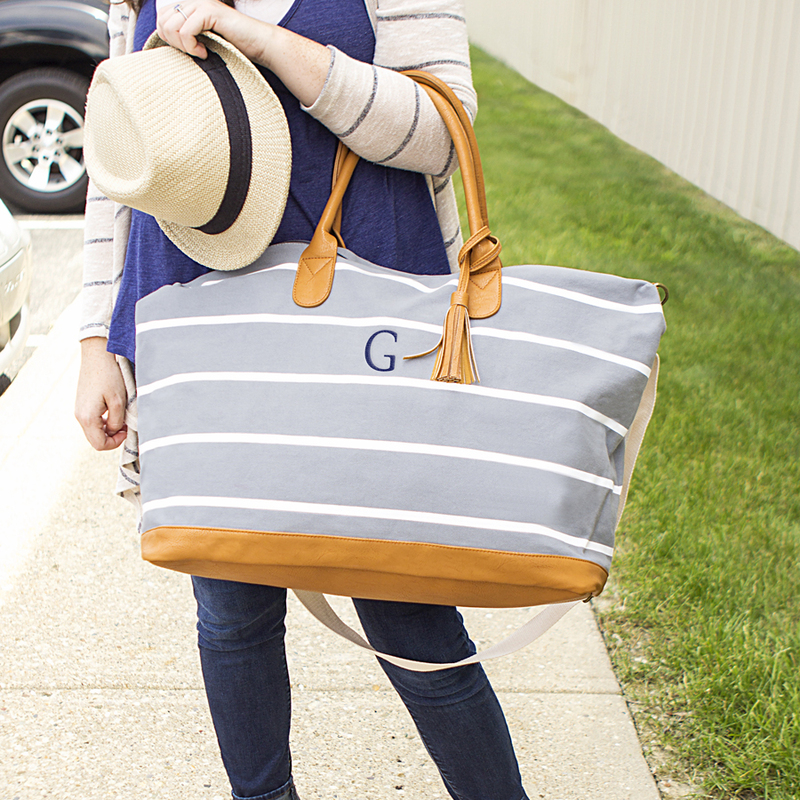 Each roomy travel bag features a removable cross-body strap, a zippered inner pocket, faux leather accents, and chic striped design. 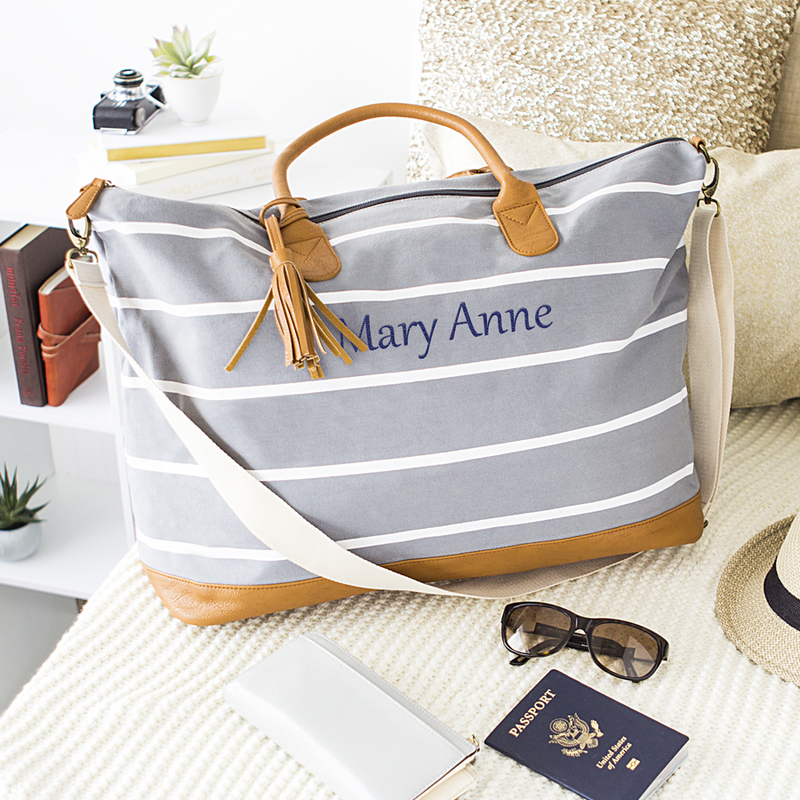 Ideal for an overnight stay or weekend out-of-town. I was scared at first to order these but IÃ¢â‚¬â„¢m soooo glad I did!!! Quality is amazing! And the bags came out great! Highly recommend. Everything arrived in a timely manner but unfortunately the gray color is much darker than it appears in the photo. I was hoping for a light gray. Also quality is nothing great. This was even better than pictured!! I love it.